Good morning, good afternoon, good evening! 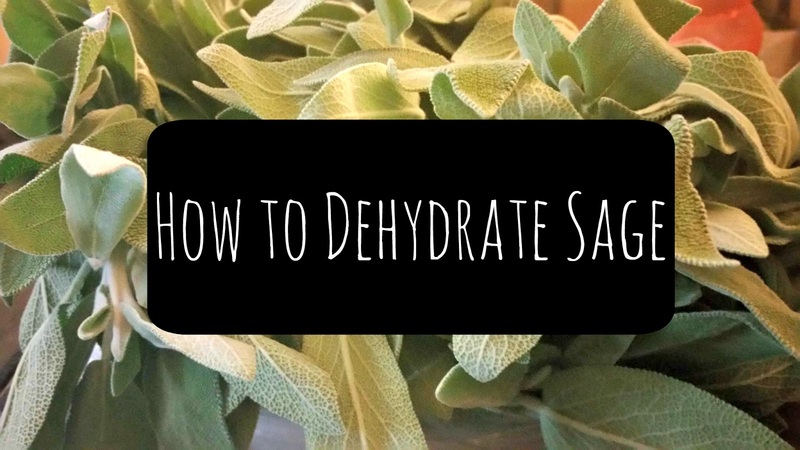 Today I am going to talk about how to dehydrate sage. I recently purchased a dehydrator, my main reasoning to purchasing it was because I wanted to make dried fruit with out all of the extra sugar and preservatives included in the store bought kind. I also thought it would be fun to try dehydrating other things as I found them. While at the market the other day, I found this one pound bag of sage for a super good price. I thought that this would be perfect to test out my new dehydrator. I tried dehydrating the herbs to different ways. In half of the trays I just put the full leafs and in the other half I put leaves that I cut up into smaller pieces. 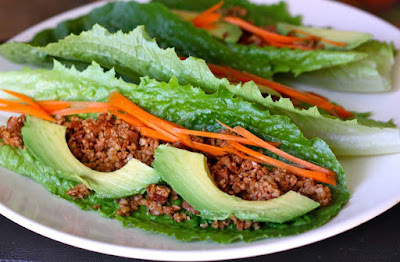 The full leaves can be used in things that the leaf can be taken out of. This includes things like soups, sauces and even rice! The smaller pieces can be used in anything else. I have included a picture below of the two different ways I dehydrated the leaves. I saved the stems to use for something else that I will post about in the next few weeks. After prepping all of my sage on their trays I assembled the dehydrator and stared the process. 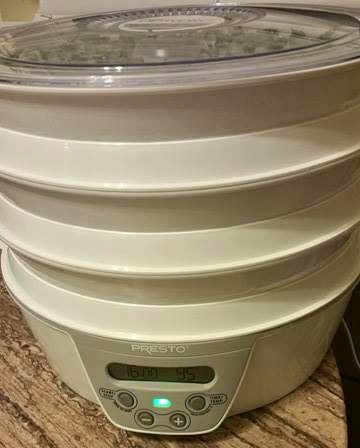 It is recommended to leave the leaves in the dehydrator for 16 hours at 95 degrees. I did this over night. I set it up right before I went to bed it was ready a few hours after I woke up. After the leaves were finished I put them into mason jars and labeled them for later use. Over all the whole process was easy and I enjoyed doing it. The process would be the same for pretty much any herb you want to dehydrate. The only thing that may differ is the time and temperature the dehydrator needs to be on. The full leafs need more time than 16 hours. I ended up dehydrating the full leafs for a total of 22 hours. When you are going to dehydrate something, be prepared for your entire house to smell like the thing you are dehydrating. 1 pound of sage filled 3 16 ounce mason jars and 3 8 oz mason jars. Have you ever dehydrated any herbs before? Do you have any tips for me or others who are new at dehydrating them? Let me know in the comments!